This is a “photo essay” (i.e. 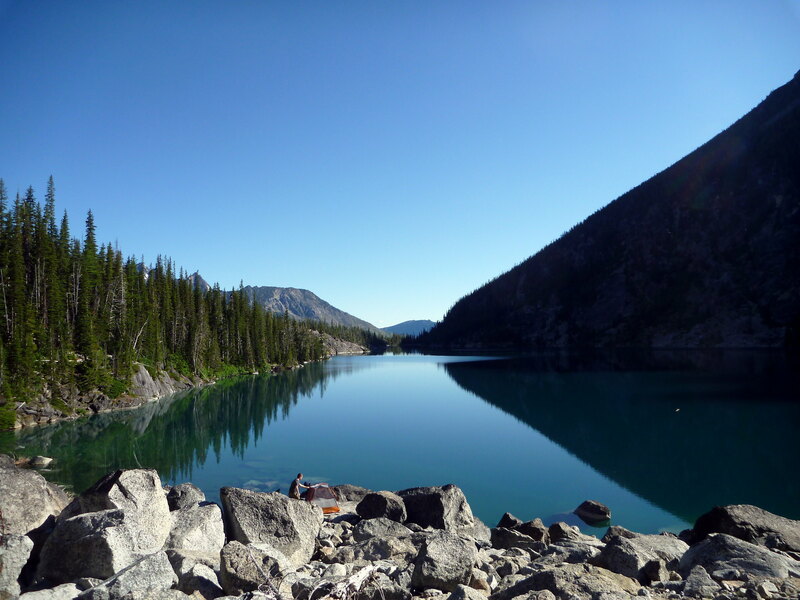 lazy trip report) for a June 12-14 overnight trip to the Enchantments in Washington’s Central Cascades. This happened to be the last weekend before “permit season” after which a permit is required to camp overnight in the area. 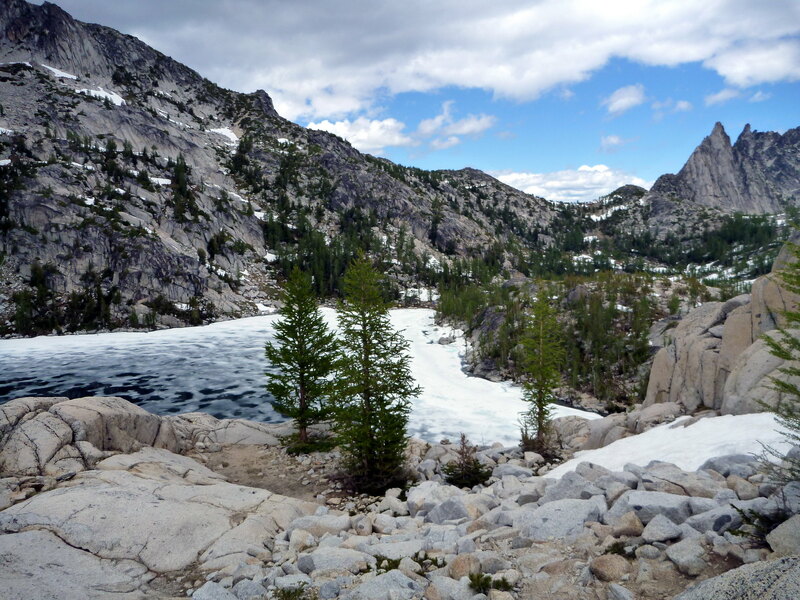 This year’s historically low snowpack made for very pleasant backpacking conditions without the red tape. Aasgard Pass was completely melted out. Little Annapurna was a routine snow climb with great views. Perfection Lake was the most scenic. 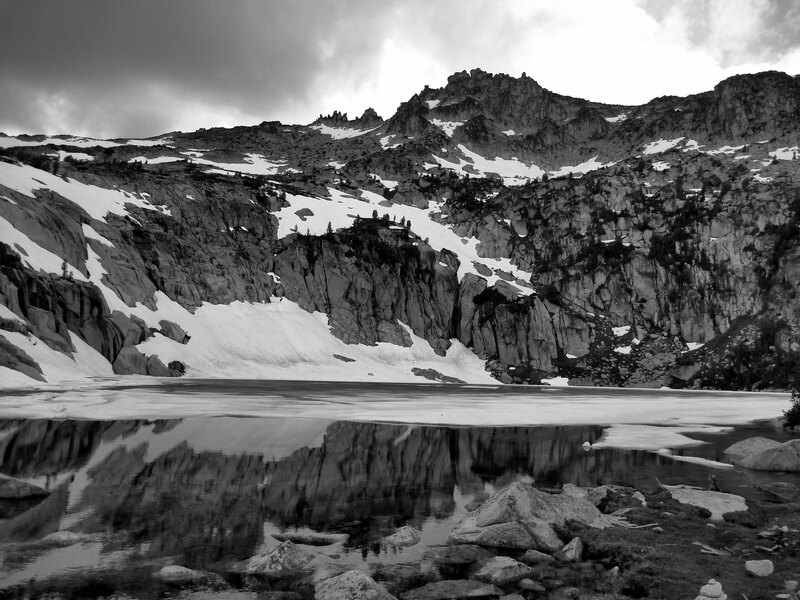 Camping at Colchuck Lake was a good move. 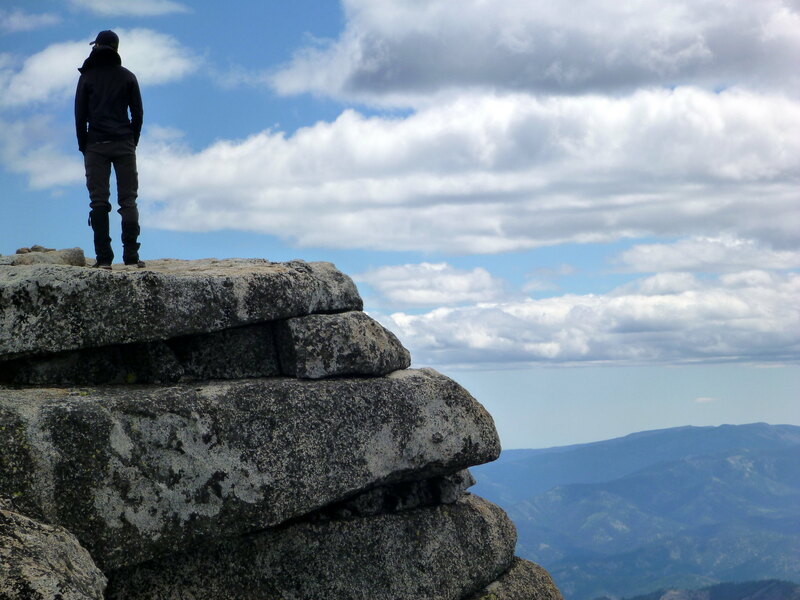 After hanging up the skis for the foreseeable future and successful summits of Adams and Baker over the last few weeks, I was ready to return to my main activity: mountain running and peakbagging. 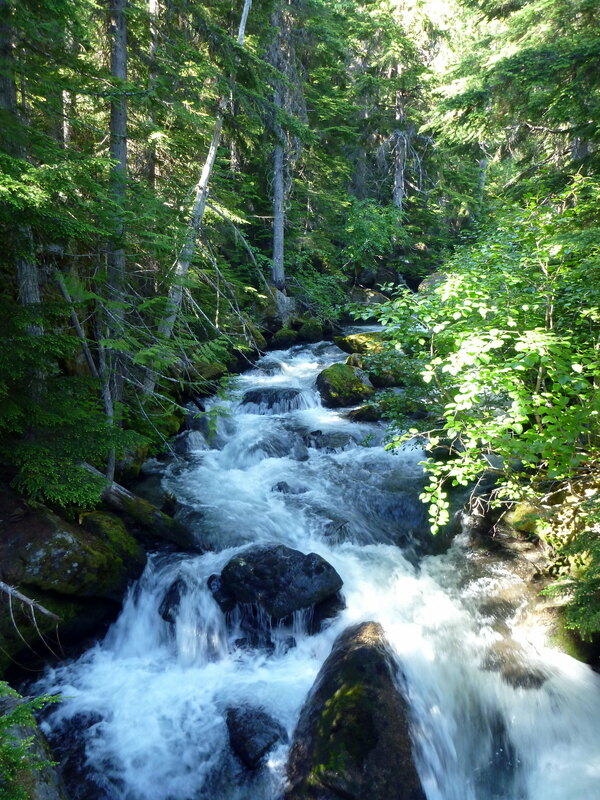 The Salmon La Sac area has been on my shortlist for exploration for a long time. 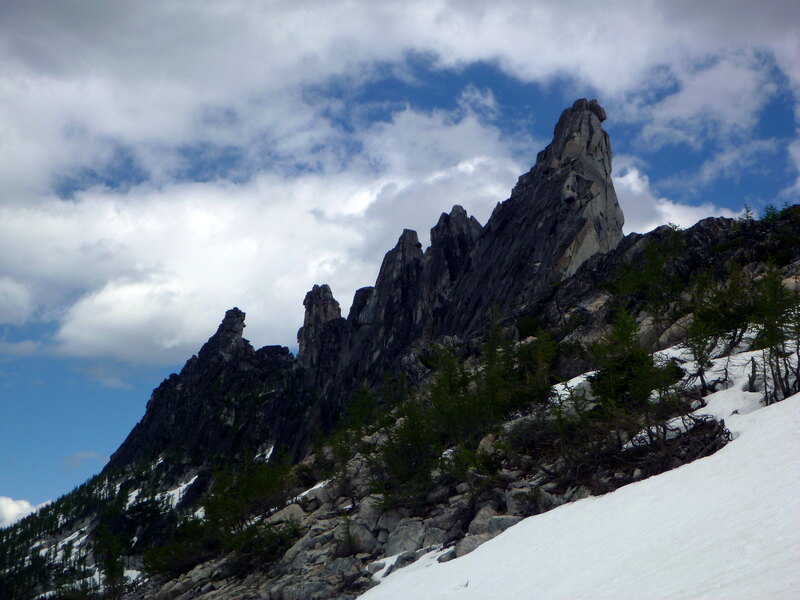 Nestled between Snoqualmie Pass and the Teanaway, I had only been through once on the way to an attempt on Mt. Daniel. After consulting Summitpost, I decided to piece together a big loop trying to tag as many summits as I could. As far as I can tell nobody has written a TR on this loop before – now I see why. The route ascends the Domerie Divide trail (1308) from French Cabin Creek and FR 4308-115, going off trail to tag North Peak and South Peak of French Cabin Mountain before cutting west along the Silver Creek tie trail (1308.1), crossing the south ridge of West Peak and offering a summit of that peak as well. 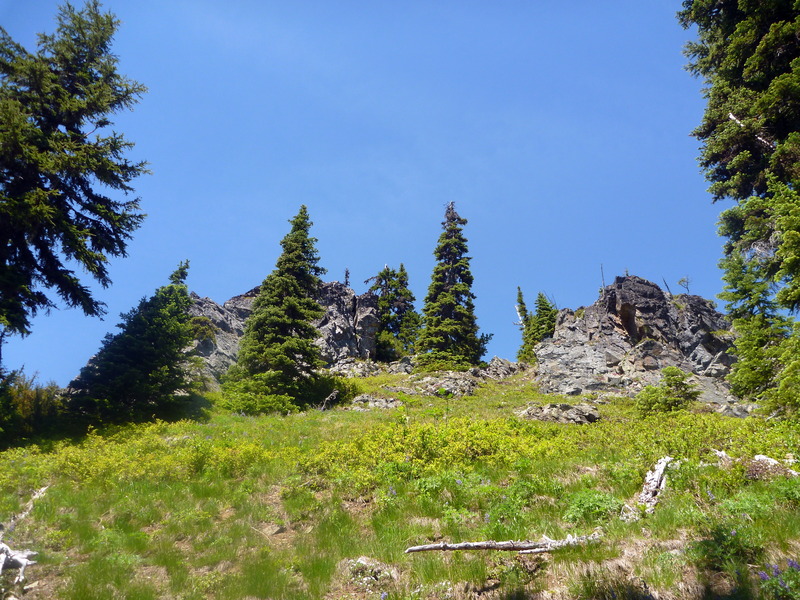 Then the trail drops steeply into Silver Creek basin where it connects with Kachess Ridge (1315) heading north across the pass into French Cabin Basin and offering summit attempts on French Chin and French Tongue. 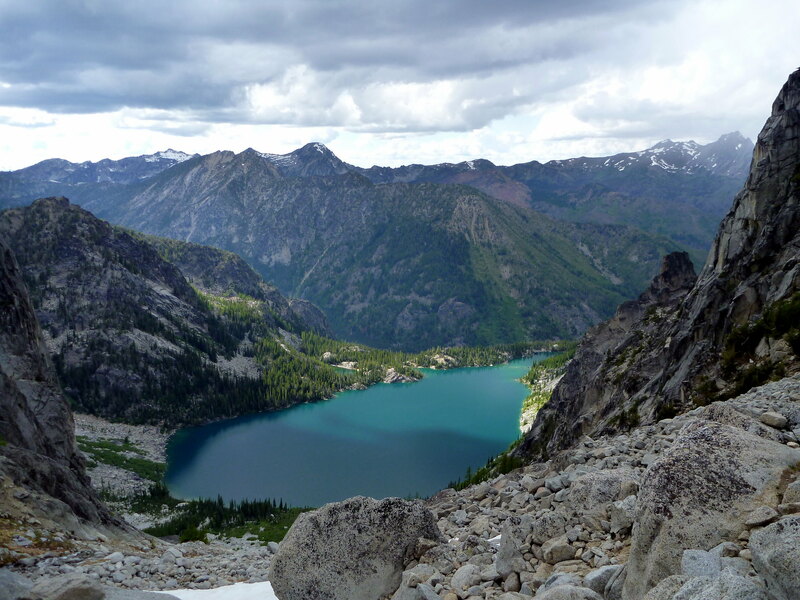 From there, the trail climbs steeply again to gain Kachess Ridge proper, offering easy access to Hard Knox (pt. 5841) and undulating for 3 miles or so until the spur trail to Thorp Mountain, before picking up the Thorp Lake trail (1316) for a gradual 4-5 mile descent back to the car (including a ~2 mile road run). The devil is in the details. I parked my car, loaded with 3L water and survival essentials in a running pack, and promptly soaked both of my shoes in the river ford. Great start. From there, I ran/jogged the road 700′ vertical to the Domerie Divide “trailhead” which is easy to spot as it begins where the road is blocked with a mound of dirt – there’s also a sign tucked back in the trees. The heat was already getting to me not 20 minutes into the trip. This would be a recurring theme. The ridge gaining elevation to French Cabin Mountain looked gentle enough on the topo, but it was too steep for me to run, so I got out my poles and speed hiked my way through, trying to keep my HR low considering how long a day I was expecting. 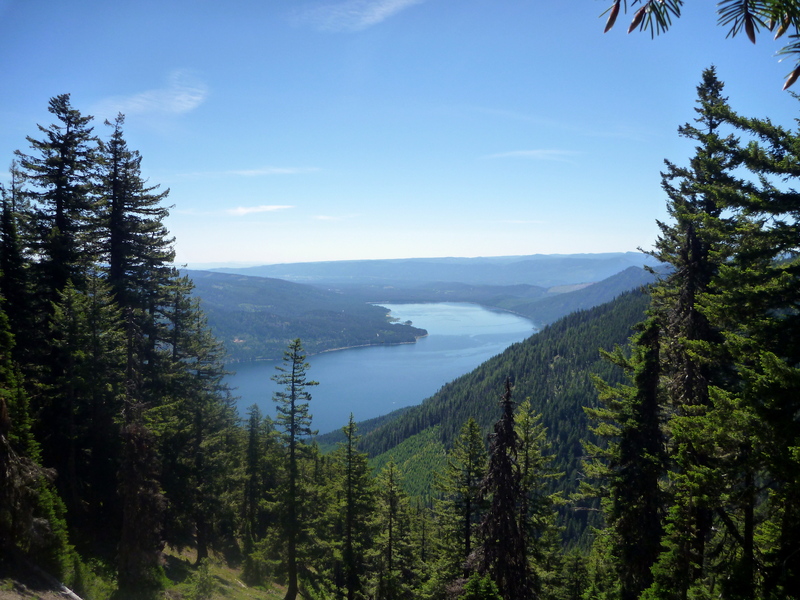 After breaking out onto the upper ridge, good views of Cle Elum Lake and the boats below were afforded.